This one arrived in my shopping cart with a hefty dose of hype. For years, Writers’ Tears was available only in Ireland (or, more specifically, not in the US) and many a whisky-lover enjoined traveling friends to bring back a bottle or two. This was also true of Green Spot, incidentally, before that hit worldwide distribution. This relative scarcity, relative value, and super-drinkable whiskey received both a lot of demand and a lot of industry hype before it finally became available in the US. I snagged a bottle for the very reasonable price of $40 before it sold out entirely. Produced by the same bottler (NOT distiller) who sells The Irishman blend, Walsh Whiskey Distillery Ltd., (have I mentioned recently how much I loathe NDPs – that’s non-distiller producer – who use the word “distillery” or “distiller” in the name? 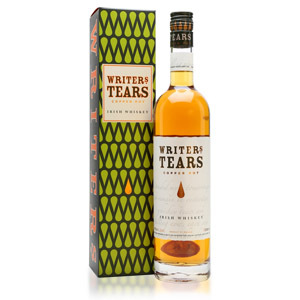 ), Writers’ Tears is a novel vatting of 40% triple-distilled Irish single-malt whiskey “probably” from Cooley (but the source is unknown), and 60% triple-distilled Irish single pot-still whiskey from Midleton, the only distiller of mature single pot-still whiskey — for now! The vatting is aged for an undisclosed amount of time in ex-bourbon American oak casks and bottled without chill-filtration at 40% ABV. Note that The Irishman blend has the same two component types, but at different ratios. The marketing codswallop (there’s a word I need to use more often) has something to do with 19th-century Irish writers drinking whiskey to alleviate writer’s block, and thus crying tears of whiskey. Cute, but irrelevant. They do rightly make a big deal about no grain being used in the vatting (this is only “blended” by technicality, it’s 100% barley), which highlights the 19th-century Irish whiskey industry’s insistence on the use of only barley in the face of new blended whisky products coming out of Scotland at the time. Back then, fashionable people actually did want whisky that tasted less like whisky, and this trend contributed to the fall of the Irish whiskey industry. Nose: Reticent nose, even after a rest in the glass. Green apple, soft caramels, a prominent nose tickle (hot), indeterminate nuttiness, and a very faint cadre of spices: caraway (odd) and clove. Palate: Thin body. A lot more flavor than was promised by the aroma; graham cracker, brown sugar, meaty hazelnuts, crystallized sugars but without being “sweet”. It seems a bit austere, likely from that vaunted Irish triple-distillation, but holds its own with a well-balanced assortment of sweets and nuts. Finish: Short. A tinge of single pot-still oils, a faint reminder that the category exists, but is otherwise lost here. Meaty and nutty, with hay and fresh cracked oats. With Water: A few drops of water have little effect on the aroma beyond increasing the nose tickle. The palate seems a little confused, and the finish acquires only a hint of bubble gum. Skip the water. 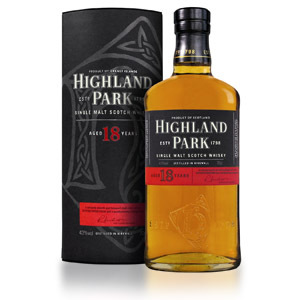 Overall: A reasonably flavorful dram with a disappointing aroma. I could wish they’d skipped the single-malt portion of the vatting and held back on the watering-down. It might have been worth its $40 price tag at 46% ABV. 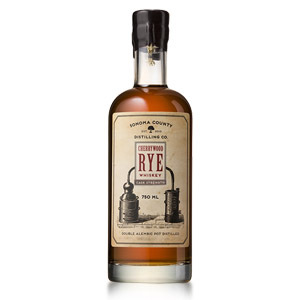 There is a cask-strength version floating around, which I’d be interested to try. Writers’ Tears is more well put-together and thought-provoking than a blended Irish whiskey, but it pales in comparison to Redbreast 12, which is only $7 more expensive in my state, and has an age statement to boot. It has been pointed out that this style of “soft” and (ugh) “smooth” whiskey resonates with drinkers who don’t want strongly-flavored whiskey. If you think Redbreast tastes too much like whiskey, then maybe Writers’ Tears is for you. As for me, I won’t be buying a second bottle. I enjoyed Writer’s Tears immensely. I do agree that Redbreast 12 is better, but for cost value, I didn’t think it was that much better. I wanted to add, the price difference for me was about $25 dollars between Red Breast 12 and Writer’s Tears. I agree with the Noob’s assessment here. I’m an American, and I was really keen to find a bottle of this when I was in Northern Ireland a few years ago. The “can’t get it back home!” mystique called to me. I hauled it all the way home. I opened it. I drank it. I was unmoved. It’s fine, but nothing special. Also, despite the Noob’s very correct correction in his title here, they do NOT put an apostrophe on the name of this whiskey. That drives me nuts. Hey ScotchNoob, they just released the Gold Bar whiskey in Montreal and I was wondering if you’ve ever had a sip before. Is it just a gimmick to sell the bottle or is the product worth it? (65$ CAD or 50$ USD). 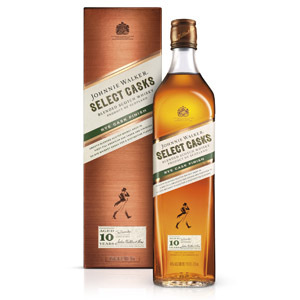 I have not yet, but it doesn’t look any more gimmicky than any other new whisky lately. 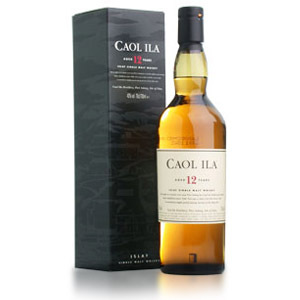 I’ve had iffy results reviewing anything aged in red wine casks, but I’ll try to find it locally. Thanks for the heads up! This is a little off topic but since you wrote a review of an Irish whiskey I figured I would take the opportunity to ask you a question I’ve been meaning to ask. Before I became a single malt fanatic in my mid 30s (I’m 40 now), I spent many great nights in bars doing shots of blended Irish whiskey with beer chasers. I had given up on Irish whiskey until I came across your review for Redbreast 12 last year. I tried it and loved it. Back in the good old days Powers Gold Label was my shot of choice. So I decided to try a bottle of Powers Johns Lane 12 yr single pot still because I finally found it for less than $70. At 46% abv and no chill-filtration this should be the best Irish whiskey I ever had. Should blow the Redbreast away. It’s not and it doesn’t. That’s not to say it’s bad. 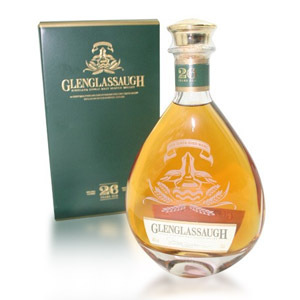 There is a very sweet quality almost like cotton candy with those delicious single pot still notes hidden underneath. Have you ever had or heard anything about the Powers single pot still release? Do you or anyone else out there have any thoughts about it. I know they all come from the distillery. I like it, but I don’t love it. For about ten dollars less I will stick with Redbreast to fill the Irish spot on my shelf. Thanks for the response. That’s interesting. Kudos to Middleton for not just sticking different labels on the same product. Like I said I don’t dislike it. I feel like it’s one of those whiskies where each sip tastes a bit different from the last. I hope you enjoy your bottle when you open it. I look forward to that review. I want to follow up on my earlier comments. I’m at the bottom of my bottle of Powers John’s Lane and am enjoying a glass as I write this. I find it interesting that the overly sweet notes that I disliked seem to have faded and I’m getting a lot more of the single pot still Redbreast type notes. In fact, the sweetness started to fade somewhere past the halfway point in my bottle. Looking forward to your review when you get around to it. Cheers!